Take in all that is Australia's Capital with this Canberra Weekend. World-class attractions, amazing architecture and futuristic planning all play their part in making Canberra one of the world's most modern and progressive cities. 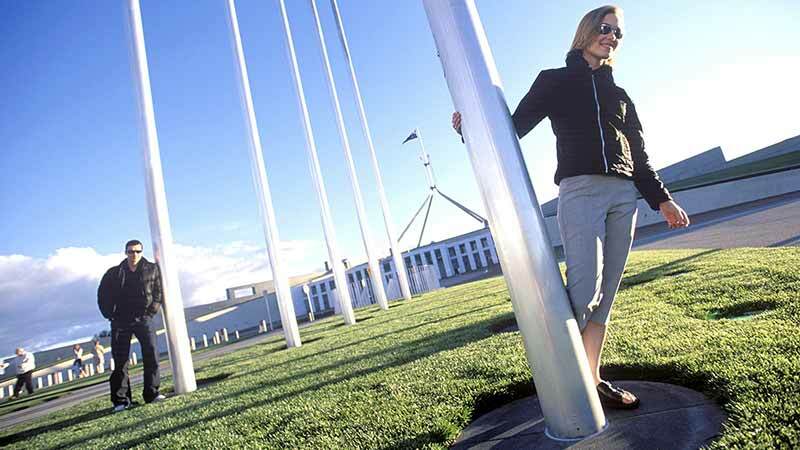 With Colourful Trip's Canberra Weekend you will have the benefits of a fully organised tour through the nation’s capital city as well as the opportunity to explore on your own. First up, you will have a guided tour of the Canberra Parliament House, an architectural masterpiece costing $1.1 billion. You’ll then enjoy a couple of hours at the National Museum of Australia which is well-known for controversial expositions regarding key issues of Australia’s social history, people, and events. At the end of your first day you’ll be dropped off at your accommodation, the Canberra City YHA, located in the heart of the city, with restaurants, bars, cafes, and shops only minutes’ walk away. Check in and relax, then head out into the night! After a night spent at the Canberra YHA you have the day free to maybe hire a bike to check out Lake Burley Griffin or vice the local markets. Lunch and dinner on day one are not included. We recommend you pack your own or bring extra spending money. Tour departs St Laurence Church on 812 George Street, Sydney at 7.25am on a Saturday. The tour will then return to Sydney at 6pm on Sunday. Accommodation upgrades from dorm room are available, and need to be arranged directly with the hostel at the time of booking. Any upgrade fee is payable directly to the YHA Hostel upon check in.